Sunday night was an evening of Music. 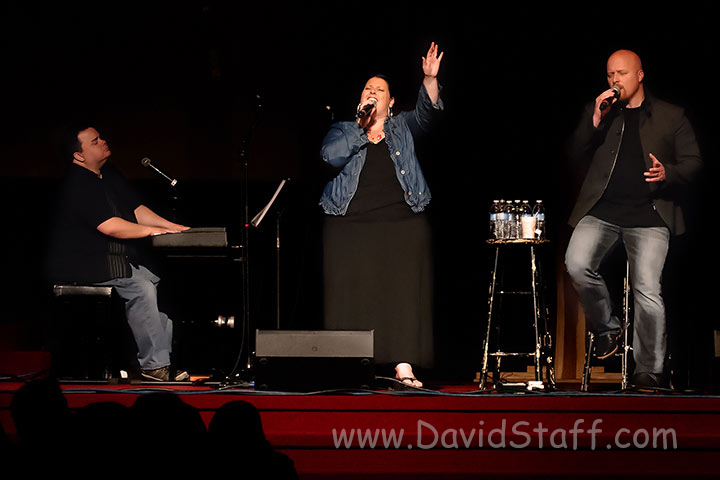 Three Christian Bands performed in Clinton, Illinois at the First Christian Church. http://www.clintonfcc.com The concert was coordinated by “Fan the Flame Christian Concerts”. http://www.fantheflamechristianconcerts.org Fan The Flame Christian Concerts is a husband and wife team that is bringing Christian Bands to central Illinois. They are creating a ministry via the events, by contributing all monies from ticket sales to benefit charities. This is a great thing they are doing, I pray much success for them. J. J. Heller at First Christian Church in Clinton, IL. J. J. Heller was the first band to come out on stage. http://www.jjheller.com They are a husband and wife team. She is a song writer and has some children books to her credit. The music is easy-going, and seems to fit in with their “coffee shop” venues in the past. They met while playing coffee shops while in college. They projected some pictures from a book she has written during the concert to add to the show. Selah is a band formed by three members, two of which have lived in Africa. http://www.selahonline.com They shared songs and testimony of struggles in their lives and showed that many in the audience have shared in the same struggles. 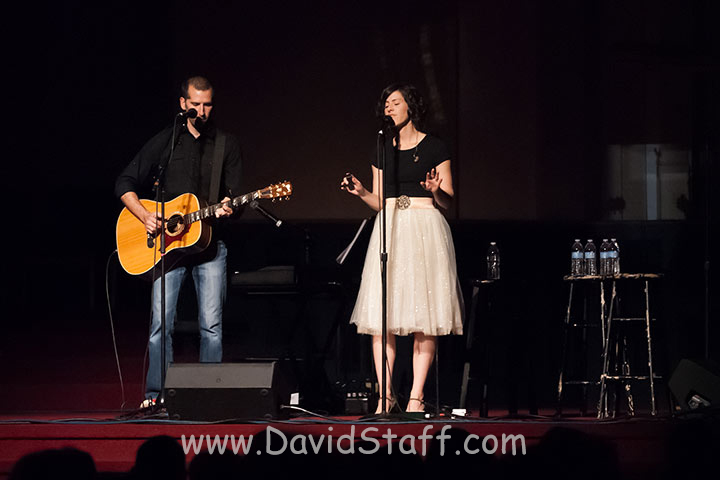 Amy has a powerful voice which combined with the other two great musicians has brought their songs to be number one on the charts and allowed them to win many Dove Awards. Mark Schultz played a couple of times during the concert by himself and also joined the other bands. http://www.markschultzmusic.com His message was powerful and he shared a video to about veterans and asked all U.S. Veterans to stand to be recognized. He shared songs of praise to our God and also shared some pictures of his family. Someday his son will appreciate his father showing those pictures with the world. Hopefully he won’t be too embarrassed. It is just one of those things that proud parents do with their children. First Christian Church did a great job hosting the event. Fan the Flame Christian Concerts did a great job in bringing in top artists. 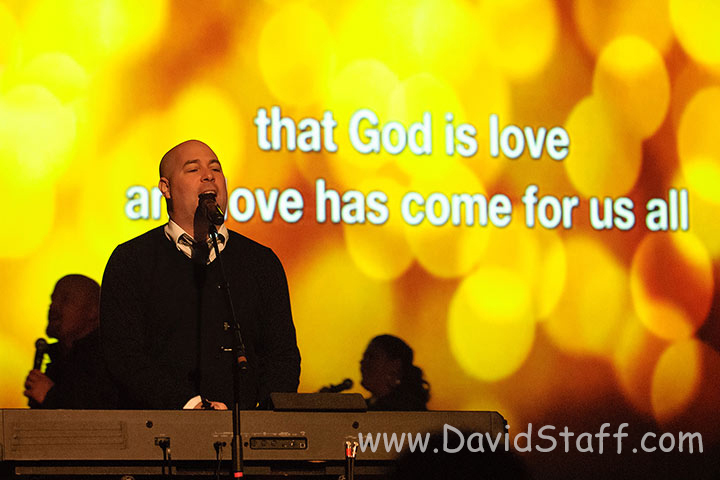 The artists were fantastic in bringing words and song to praise God and encourage those attending. Today was a fun day. Some friends, Richard and Susan Day of “Daybreak Imagery” http://www.DaybreakImagery.com were in town today giving a presentation. The Decatur Camera Club http://www.DecaturCameraClub.net and Macon County Conservation District http://www.MaconCountyConservation.org organized the workshop. Richard started off talking about taking pictures of birds in your backyard. He shard some of the equipment, blinds and patience it takes to get the photographs. He shared some tips such as backgrounds, placement of seeds, use of water and many other things. Then Susan took over and talked about planting for wildlife. 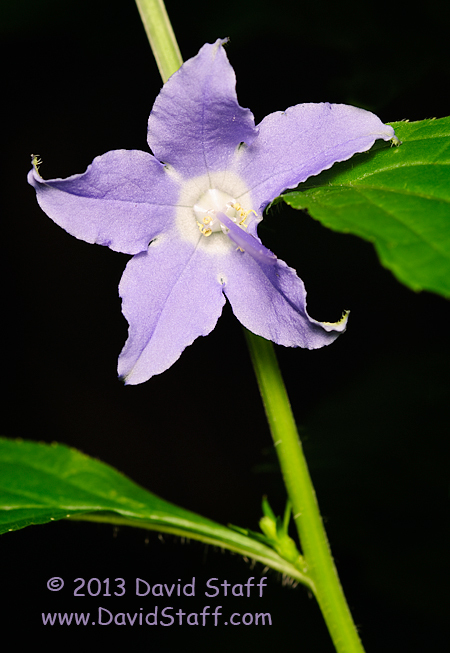 She talked about the flowers, plants, trees and shrubs needed to attract birds, butterflies and hummingbirds. She is an expert in the field and has written books and many articles on the subjects. Richard ended the program talking about photographing butterflies, dragonflies and humming birds. He talked about the equipment needed from the most basic to the elaborate to accomplish the task. Richard and Susan have been published by National Geographic, Audubon, and many other magazines. Their photography and writings have been used in many calendars, cards and articles. They give presentations throughout Illinois and surrounding area on their crafts. Today, it was a little cooler than a few days ago, but the sun was shinning. I have had my photo blind up all winter, but have not been able to use it. Today, I spent some time in it, so I will have been able to use it at least once before taking it down in the next few weeks. A swing goes in the same spot for the summer. There was not much variety today for the birds. We ran out of seed, so it was just what ever came in to pick up leftovers. The cardinals stopped by for brief visit, but not where I could get a camera on them. 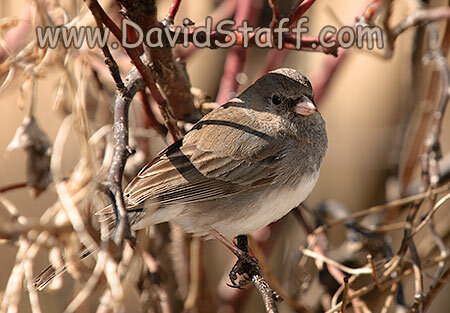 Dark-eyed Juncos were everywhere. They are such a soft colored bird. Not a lot of excitement, but still one I enjoy seeing. 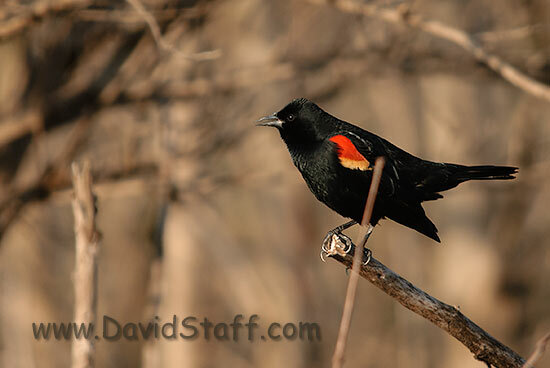 Every Spring I look forward to getting out to see nature coming to life. 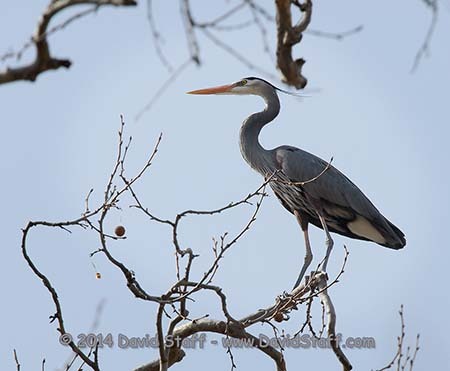 There are several Heron Rookeries that I visit. 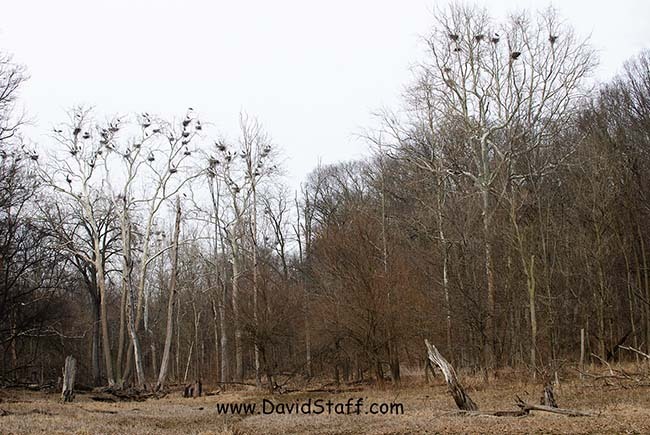 This rookery is a large on with over 160 nests. It has maintained a constant size for the last few years. Even though the rookery is a beautiful site, imagine the mess that over 300 birds can make. Imagine when the chicks come along. I am looking forward to the noise the chicks make when they are active. Visit this page at “All about Birds” http://www.allaboutbirds.org/guide/great_blue_heron/sounds and listen to the sound clip called “Begging Young at Nest”. Now imagine over 300 of them squawking at the same time. It is a sound you never forget. 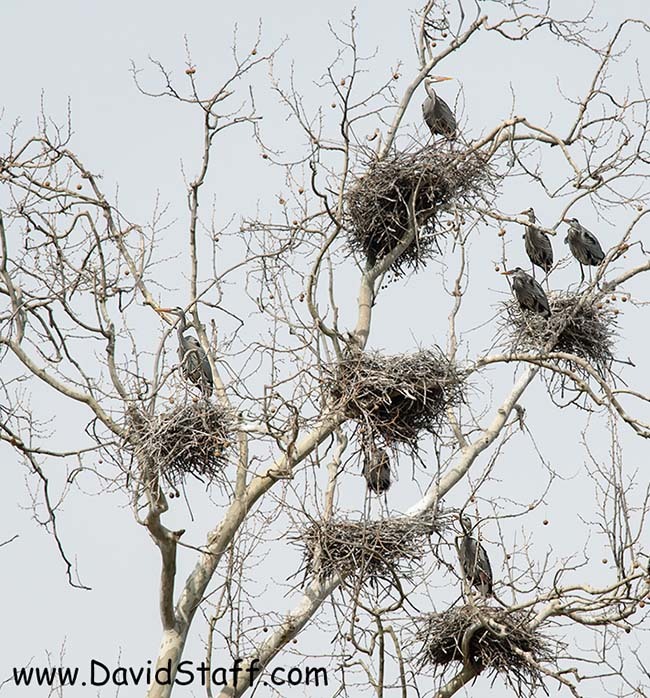 Here is closer view of the herons at the nests. They are paring up and soon will start mating. Getting out there now allows the nests to be counted, as the leaves make it impossible to view all the nests. Soon leaves will fill in the holes you see and only a few nests will be visible to the eyes. The young will be born, and the parents will have their “Beaks” full taking care of the little ones. For now it is the adults that I share in my blog. Soon I will return, and a new generation will reveal itself. I hope you come back to see more of my adventures with camera. Last week a friend and I took a day to go to Wolf Creek on Lake Shelbyville to photograph some deer. After driving around and talking with some DNR people, we decided to change plans. DNR said that the deer counts were really down. Blue Tongue Disease has been getting to the deer the last two years. So we decided to do a little GEO Caching. We found one in the park by going online. We loaded the info into the GPS and off we trekked. It took us to a cemetery in the park. After about 10 minutes we found the cache. It was originally placed in a 35mm film canister. After reading through some posts, we found it had been changed to a mint can. To make things worse, there were leaves all over the place covering and filling all the hiding spots. But we had success. Then it was back on the road. Driving around Shelby County we saw an eagle’s nest I found last year. It is deep on someones property so there was no access to photograph. The nest still looked to be in good shape. 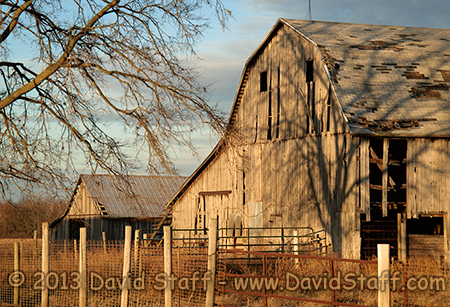 So, we looked for old barns. The sun was right and the golden light was upon us. So the change of plans was good. 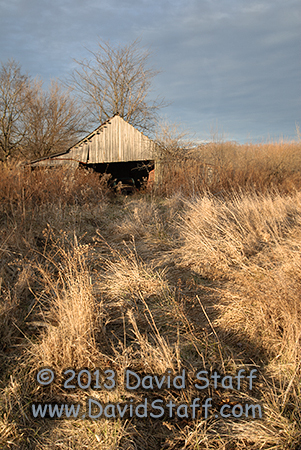 We found a Geo-cache, and eagles nest, and some old barns. It was a good way to get out, relax and explore. The other day, I took some time to look for some deer trails at Rock Springs that were located close to a parking lot. Deer frequent the area, and I was looking for a well used trail that would have great evening light. The place I was investigating, may have good light a little later in the year. The sun would have to come through some trees at an earlier time of day to also be the right angle for great lighting. I hope to return soon and get some great images. After scouting the area, I sat on a bench and watch the wetlands. There was not much activity, but it was nice to get outside. I had my camera, but had not really taken any pictures as of yet. Suddenly, the light was starting to glow, and normal everyday grasses became interesting. 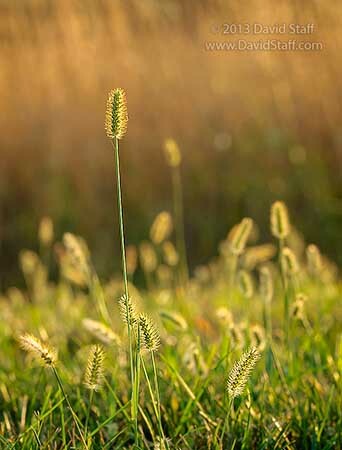 The grasses had the golden light of the last part of the day and the side lighting was giving them color, texture and depth. Laying on the ground I lowered my tripod and waited for a lull in the breeze. Click, Click, and Click again, the shutter was tripped. 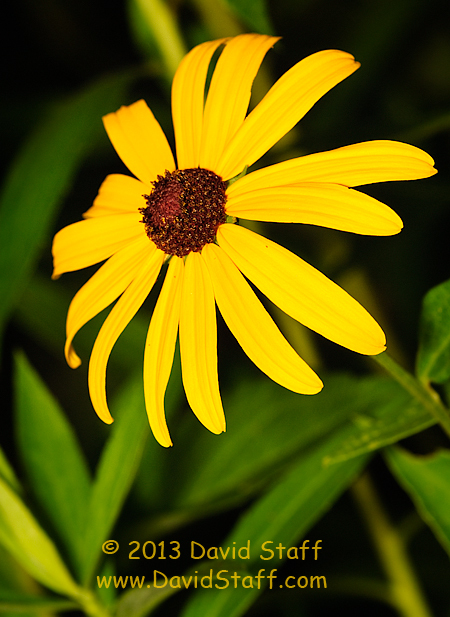 I tried different compositions, and lens effects, to produce an image I am pleased to share. It was a good day. I found some trails for the future, that I would like to work. I found some time to relax in the fall sun, and listen to the sounds of nature. And I was open to seeing a treasure in an ordinary place. Sometimes ordinary can be so beautiful.